[PRESS RELEASE 2018-08-27] Microvascular dysfunction, or small vessel disease, can be an important cause of heart failure with preserved ejection fraction (preserved pumping capacity), an international team including researchers from Karolinska Institutet and AstraZeneca report in a study published in The European Heart Journal. The results can play a crucial part in identifying people in the risk zone for this type of heart failure and in the development of effective drugs. The study involved the use of an innovative coronary imaging protocol developed by Professor Li-Ming Gan’s research group in the IMED Biotech Unit in order to obtain a patient-friendly, cost-effective way to test coronary artery’s ability to increase its blood flow (Coronary Flow Reserve – CFR) in addition to the traditional imaging approach to generate overall picture of the heart’s structure and function. “Being able to identify patients with heart failure with preserved ejection fraction is not only key to improving patient outcomes through early diagnosis but also for us to understand the causal mechanisms underlying the disease so we can develop future targeted therapies”, says Professor Li-Ming Gan, Chief Scientist and Senior Medical Director, IMED Biotech Unit, AstraZeneca. 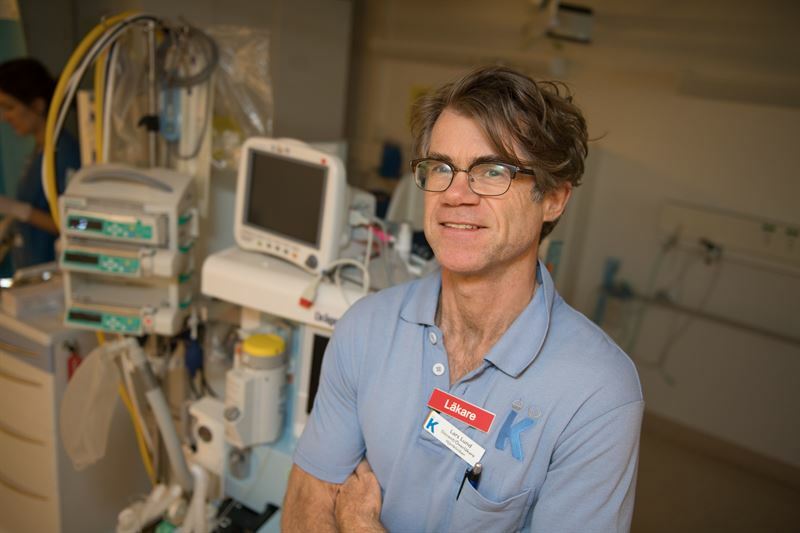 “The results will be useful in identifying patients at risk of developing the disease, but above all they’ll make an essential contribution to the development of drugs for patients with heart failure with preserved ejection fraction,” says Lars Lund, Senior Consultant and Professor at Karolinska Institutet’s Department of Medicine in Solna. The results are presented today at the European Society of Cardiology (ESC) congress in Munich and published in The European Heart Journal. The project was financed by AstraZeneca and the researchers are in receipt of grants from the Swedish Research Council, the Swedish Heart and Lung Foundation, the U.S. National Institutes of Health, the American Heart Association, the National Medical Research Council of Singapore, and the Academy of Finland, Finnish Foundation for Cardiovascular Research. Publication: “Prevalence Of Microvascular Dysfunction in Heart Failure with Preserved Ejection Fraction: PROMIS-HFpEF”. Sanjiv J. Shah, Carolyn S. P. Lam, Sara Svedlund, Antti Saraste, Camilla Hage, Ru-San Tan, Lauren Beussink-Nelson, Maria Lagerström Fermer, Malin A. Broberg, Li-Ming Gan and Lars H. Lund. European Heart Journal, online 27 August 2018.